Dr. Boult is the El Pomar Endowed Chair of Innovation and Security and Professor of Computer Science at the University of Colorado at Colorado Springs . 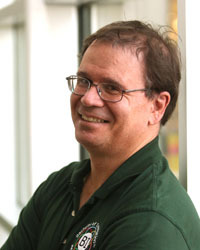 From 1994 to 2003 he was with Lehigh University, where he founded the Computer Science and Engineering department and held the position of Weissman Chair of Computer Science. He was on the faculty at Columbia University from 1986-1994. From Aug 2002 through Jan 2004, Dr. Boult was the Chief Technology Officer for Guardian Solutions Inc, helping to commercialize his research in sensor-based security systems, including developing/deploying one of the largest wireless video surveillance systems in the world. Dr. Boult’s ongoing research projects include advanced biometrics, advanced visual security systems, design and evaluation of imaging sensors for facial recognition, evaluation of weather effects on facial recognition, and algorithms for efficient use of wireless networks. As a result of his work in advanced biometrics, Dr. Boult has founded Securics, a start-up company based in Colorado Springs. He has received funding from DARPA, ONR, the Army Night Vision Lab, Siemens, the AT&T Foundation, the Lucent Foundation, RemoteReality Inc, McQ Associates, PadCom Inc., Pennsylvania Infrastructure Technology Alliance, and the Ben Franklin Foundation of Pennsylvania. Dr. Boult received an NSF Presidential Young Investigator award, and has won teaching awards at both Columbia and Lehigh. Dr. Boult has published over 120 papers and holds 4 patents, with 8 pending. He has served as an associate editor for IEEE Transactions on Pattern Analysis and Machine Perception (IEEE PAMI). He co-organized multiple workshops on visual surveillance and computer vision related topics, and has participated on program committees for more than two dozen IEEE and SPIE conferences and workshops on computer vision and sensor fusion, as well as an ACM program committee in software engineering. Dr. Thomas Duening is the El Pomar Chair for Business & Entrepreneurship, associate professor of management, and director of the Center for Entrepreneurship. He has over 25 years of experience in teaching entrepreneurship and running entrepreneurship centers. 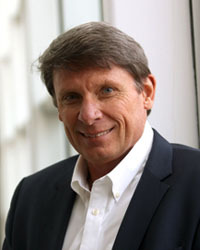 After receiving his PhD from the University of Minnesota, Dr. Duening was recruited to be the assistant dean of the business school at the University of Houston. There, he helped create the first entrepreneurship center in Texas, which has become one of the leading centers in the world. Dr. Duening went on to create centers for entrepreneurship at the University of Houston-Downtown and in the Fulton School of Engineering at Arizona State University. Dr. Duening also has 32 years of experience as an entrepreneur. He started his first business in 1984 and has founded or co-founded nine other ventures since then. In 1997, Duening founded U.S. Learning Systems, which provided content development and management services for e-learning companies across the United States. HighTechCampus.com, an integrated e-learning company focused on corporate compliance training acquired U.S. Learning Systems in 1999. Duening next founded the Applied Management Sciences Institute, a management consulting and research firm. He left that company in 2002 to establish ansrsource, a company that provides learning design and content development to a wide range of publishers, universities, and corporations. Ansrsource, principally based in Bangalore, India, recently celebrated its 15th year of operation. While residing in Arizona, Duening founded the Arizona Technology Investor Forum, which quickly became the most active angel investment group in the state. The Forum (now known as Arizona Tech Investors) has been operating since 2006. Dr. Duening is well known for his advocacy of entrepreneurship as a life path, and for his research into human potential. In addition to having written 17 books on business and entrepreneurship, he also publishes widely on topics in management, organizational behavior, and positive psychology. He is the founder of the Positive Organizational Behavior Research Group, an interdisciplinary group of scholars who apply positive psychology to organizational and individual performance. Duening believes that his teaching is most relevant not when people learn particular concepts or lessons, but when they are encouraged to change the trajectory of their lives to strive for things they previously thought unreachable. Dr. Duening holds a BS degree in natural sciences from the University of Wisconsin Stevens Point; and an MA degree in philosophy of science and a PhD in higher education administration, both from the University of Minnesota. Rhea Phaneuf is the Marketing and Events Project Manager for EPIIC. She has been with EPIIC since 2013. Rhea has been in the marketing and events field for more than 15 years, previously she managed marketing efforts for ENT Federal Credit Union, BluSky Restoration Contractors, and the Professional Bull Riders. 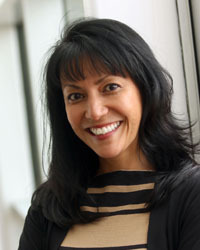 She has a bachelor’s degree in communication from the University of Colorado at Colorado Springs. Carrie Olson is the Program Assistant for EPIIC. She started with EPIIC in 2016. Prior to EPIIC Carrie was a Program Assistant at the University of Colorado Boulder.